Understanding Energy — How Much Energy Do You Consume? This class is presented by our collaborative partner, Ecotelligent Homes! Ecotelligent Homes is excited to help students understand how their everyday actions consume energy, how that impacts the planet, and what they can do to help reduce their environmental impact. 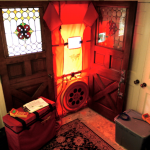 We will walk through examples of a home energy audit and engage middle and high school students with hands-on diagnostic testing to link real world examples with basic science principles. Experiments with thermal infrared cameras will show heat transfer through conduction, and operating the blower door test is a fun way to find the source of drafts and understand convection. Students will see how much energy a simple computer uses, and then relate that to how much energy their home is using with our interactive modeling software. Target Grades: 6-12. $5/student. Ecotelligent comes to your classroom for an in-depth look at energy. For assembly format and scheduling, contact Amanda Godward, Owner, Chief Energy Engineer directly at agodward@ecotelligenthomes.com or (248) 291-7815.